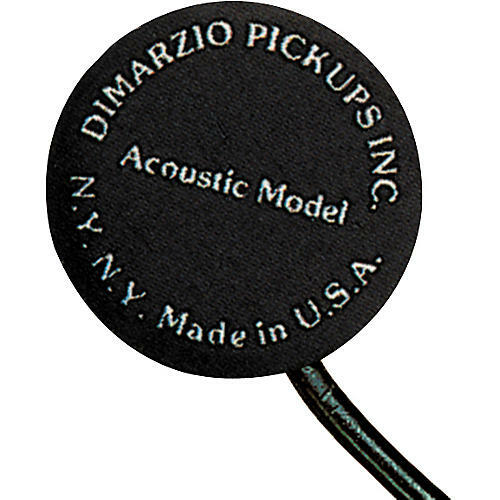 The Acoustic Model is a piezo-electric transducer that can be mounted in any location on the guitar's top. A non-hardening putty is used to mount the pickup, allowing simple installation and removal. It's easy to experiment with the position of the Acoustic Model to determine the spot that achieves the best tone for your taste. It can also be semi-permanently mounted on the inside face of the guitar and connected to an acoustic endpin jack, so it's practically invisible. The Acoustic Model works on all steel, bronze and nylon string instruments.